My husband and I are blessed with 3 beautiful children. I am fortunate that they are all healthy. They do keep me very busy but I am in awe that I’m so lucky to have each and everyone of them in my life. As I watch each of them grow up from a wee tiny infant up into a young person, I can’t help but want the very best for them. I do everything in my power to make sure that they are healthy by feeding them well and getting them vaccinated. I’ve used evidence based parenting in how I care for them. I could be a regular mom who spends my time just focusing on my children and family but I choose to do more than that. After they are all in bed, I’m reading about what’s happening around the world or in Hawaii and thinking about their future. Will my kids be able to live here with what’s happening lately? Several years ago when the anti-GMO issue started to surface, I realized that this is a new day and age for our local folks. The papaya farmers and others in the agricultural communities were under full attack. The folks that kept the lands green and productive were having their livelihoods threatened. The once respected occupation of farming was being barraged by misinformation. I decided to speak up on the fledgling social media outlets. No one was speaking for our farmers and I could not stand to see these attacks continuing. The farm I grew up on was in danger of becoming a relic of the past. It was there in the fields where I learned life lessons about responsibility, work ethics, and the value of hard work. These lessons were taught by my dad who learned it from his father. As a parent, my hope was to instill this in my children too. From my own perspective, these experiences helped me succeed in school and work. I wanted this for my kids. I nearly left my home state for good 10 years ago but was brought back here because of my husband’s desire to try his hand at farming and raise my daughter near family. I fought it because I felt Hawaii was so backwards. He convinced me to make the move and now I don’t want to leave. I am a mom fighting for the future of my kids. I’m disappointed with what is happening in the place I was born and raised in. From factless protests against GMOs to the fighting of the Superferry and now the Thirty Meter Telescope, it’s clear that the vision for Hawaii is lost in the name of short sighted attention seeking activists. They are unable to see the damage they can create for the future of Hawaii. They deny our people from having access to cutting edge research or investment in advances that can change lives. They don’t care about what happens tomorrow and bask in the limelight of internet fame. There were supposedly 10,000 protesters in Waikiki several weekends ago. They blocked traffic in a city where we have the worst traffic in the nation. They gathered here the same week as the conservation conference and the astronomers’ convention. Many came on planes or buses burning tons of greenhouse gasses and they spent hundreds of dollars in airfare and accomdations but none went to the people who would’ve benefitted from some sustained financial help or opportunities. A lot of time and energy was used to organize this protest for one day but no other realistic plan put forth after that other than that day. A day of social gathering isn’t going to change anything or accomplish the solving of real world problems. It’s a fun brouhaha of angry protesters but that’s it. They all go home and don’t come back until next year to be mad again. As a mom, I want the best for my children so that they may have the brightest future possible. I want them to be open to discovering and innovation. I want them to remain hopeful for the future, not frustrated and disappointed that there are no opportunities. That is why I have decided to do something huge that I feel will help make a difference in the world for my kids and hopefully others. I’ve left the comforts of my home and took leave from my job to do something I would have never thought I’d do. I left 2 of my daughters behind for several weeks and took the baby up with me to attend the Cornell Alliance for Science Global Fellows Leader training in Ithaca, New York. My friend and her daughter also came up with me to help make this happen. I could have stayed home and let this opportunity pass by but I want to make a difference for my kids’ future and decided to take the leap. Thanks to the my family and the extended ohana I have in Hawaii, I have been supported in taking on this training to have the tools at my hands to garner support for a technology and a new way of thinking of the world I want to see. I’m here with 25 fellow leaders who share the same vision for their world too. I have everything I need and because of my fortune, it is a duty for me to share those blessings with others. I’m never hungry or ever have to worry about where my next meal will come. I don’t have to worry about losing my livelihood to pests and diseases because others farm the food for me. A significant population in the world isn’t as lucky as I am and for that reason, we can’t use misinformation and fear to continually keep others from their right to food or access to technology that can prevent suffering. As a mom, I do not want something denied from my child if it would give him a better shot at life. Nor should others deny any child the right to a healthy life. 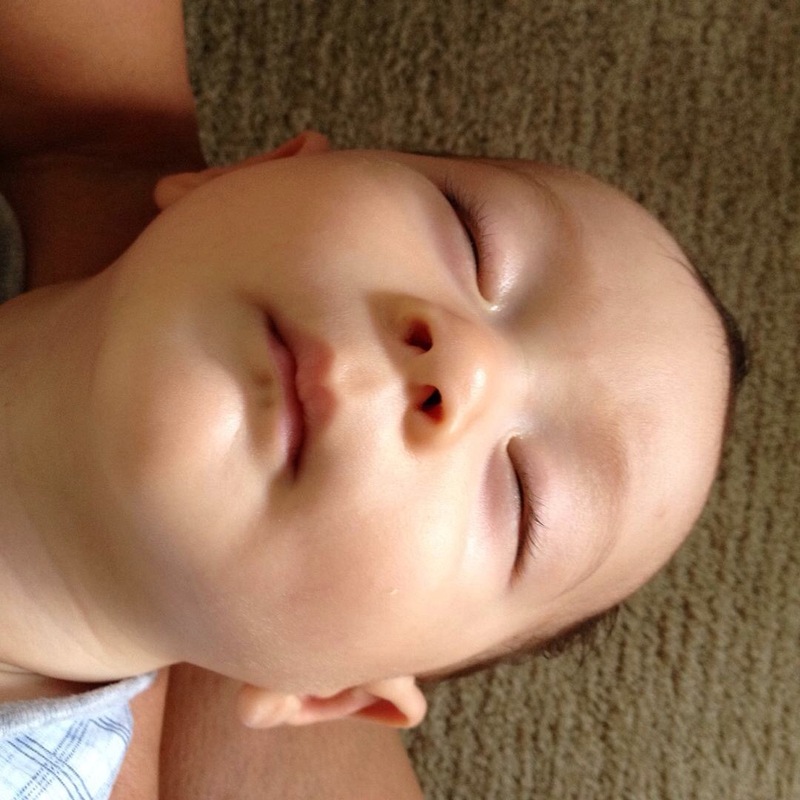 I’m a mom on a mission for science and for a more compassionate world based on the truth. I also want to see the people of Hawaii have better opportunities in the future. My grandma lived with dementia for the last decade of her life. It was very painful to see her decline. If we as citizens support science and innovation, maybe research projects may come to Hawaii that can help address this issue. Our residents can have access to life changing research and innovations. If we don’t speak up for evidence based policies and stances, we face a stagnant status. 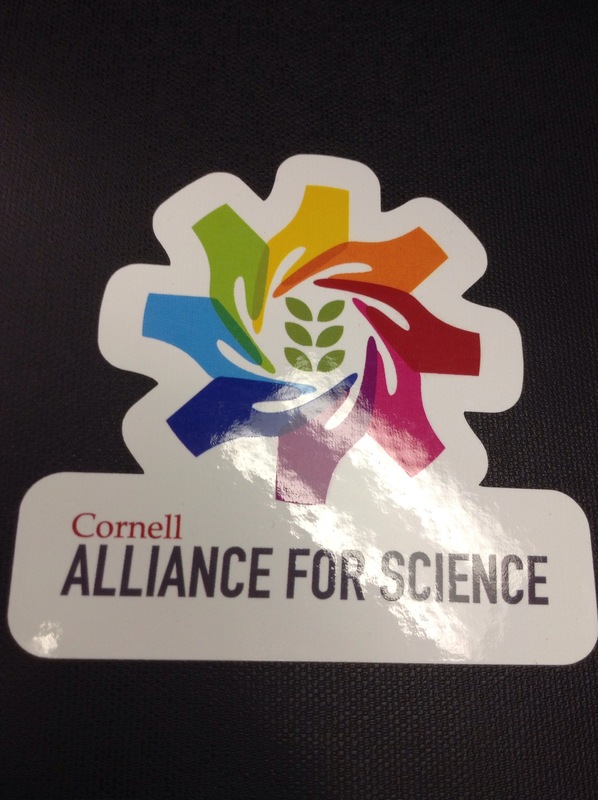 I’ve joined the Cornell Alliance for Science to help me become an advocate for Hawaii farmers’ access to technology and help other global farmers have that access too. It’s for the future that we must invest in. Will you join me in supporting science for a better future? Keep fighting the good fight! You are absolutely correct in your attempts to educate the masses on GMO’s. I couldn’t agree with you more on TMT and other issues. Thank you for having the courage to speak out! The super ferry, boy that would of been wonderful for my elderly parents, who can’t fly, to enable them to drive on and drive off to another island. Plus imagine the business for farmers, to use the super ferry…..and tourism! Hawaii is being left in the dark, it’s sad to see, the future of these islands going down hill. I hope the people will open their eyes and realise how fragile their current position is and start making changes to a better future for all, under the sun. Exactly!! I’m glad to hear others feel the same way I do! Please help to speak out to the powers that be. Our voices need to be louder. Mark, I’m thrilled to learn that there are others out there who see what we need for the future. Please make your voice loud and strong so that we are heard! Mahalo for your support!